Geneva Bright Smith, retired executive secretary and sales coordinator at Chattanooga Bakery, Inc., died on Monday, November 3, 2008, at a local nursing home. She was 80. A native of Calhoun, Ga., she graduated from Sonoraville High School and McKenzie College. She also attended night classes at the University of Tennessee at Chattanooga. Mrs. Smith was executive secretary to the chairman & CEO, president and executive vice president; sales coordinator working with two sales managers and 46 brokers throughout the United States. Prior to her employment at Chattanooga Bakery, Inc., she was with The Chattanooga Gas Company for 19 years and Coca-Cola Bottling Co. (Thomas) for eight years. Long active in the secretarial profession, she was a member of Professional Secretaries International, served two terms as president of the local chapter and as president of the Tennessee Division. She was recognized as “Secretary of the Year” in 1963. 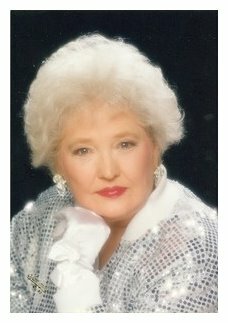 She was a charter member of Executive Women International and served on the board of the local chapter for three years. She was a member of the Murray Hills Estates Community Club and served as their president for two years. She also served on the Board of United Cerebral Palsy of Greater Chattanooga (now Signal Center) for several years and did volunteer work for the American Red Cross as Grey Lady at Memorial Hospital. She was a member of St. John United Methodist Church and the Joy Class. She was the widow of Raymond A. (Jack) Smith, the daughter of the late James F. and Doshia Hall Bright of Calhoun, Ga., and the sister of the late Jo (Mrs. John C.) Rasmussen of Chattanooga. She is survived by her three nieces and two nephews, two great-nieces and five great-nephews, one great-great-niece. Funeral services were held for Geneva at the North Chapel with Rev. Sherry Boles officiating. Burial followed in National Cemetery. Memorial contributions may be made to St. John United Methodist Church or Hospice of Chattanooga. Arrangements are by the North Chapel of Chattanooga Funeral Home, Crematory and Florist.